• How do your non-emergency activates affect your emergency activities? • Are you using the correct resources for your nonemergent activities or are you using the resources that are convenient? • How do your non-emergency activities affect your budget? • Are your training programs effective in improving your emergency operations? Can you prove it? • Not all shifts and districts fight fire the same way. What shift actually does a better job? • Are your fire prevention efforts actually making a difference in your citizen’s life or just impacting your budget and emergency activities? • Does your Emergency Medical Services make a difference in your community? What would happen if your city leaders asked you this right now? Give us solid, up-to-date data on-demand, along with what measurable results our city, county, or fire jurisdiction is getting for its fire service dollars. • Equipment Maintenance (are you using the right equipment, most cost-effective equipment) Can you prove it with your data? • Staffing and apparatus resource deployment? • Health and wellness programs? • The Economic impact the fire department is having in your jurisdiction? If you have a complete Record Management System, you should be able to get these answers within minutes, not days. 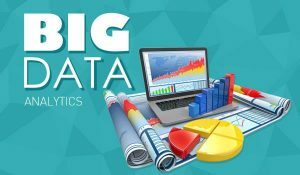 You have BIG DATA, do you know how to use it? Is it up-to-date and accurate? Let KLT show you how to get the most out of your data!